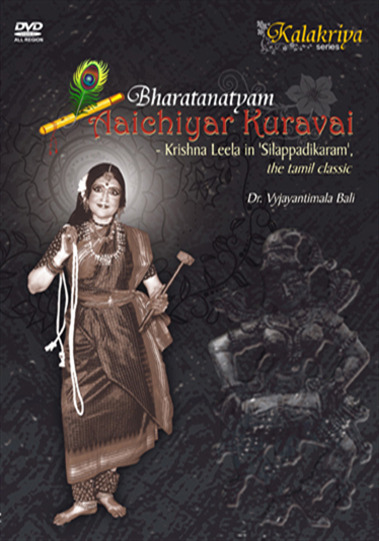 In this product, Aaichiyar Kuravai, a segment of Silappadikaram, the Tamil literary classic has been adapted for Bharatanatyam by Dr.Vyjayantimala Bali, the celebrated danseuse. Backed by her dynamic face and nimble movements, she marshals the best elements in Bharatanatyam repertoire to provide a visual interpretation of ilango Adigal's verses in praise of Krishna and his myriad exploits. Here again, art, literature and spiritualism coalesce to create an aesthetic experience beyond compare.